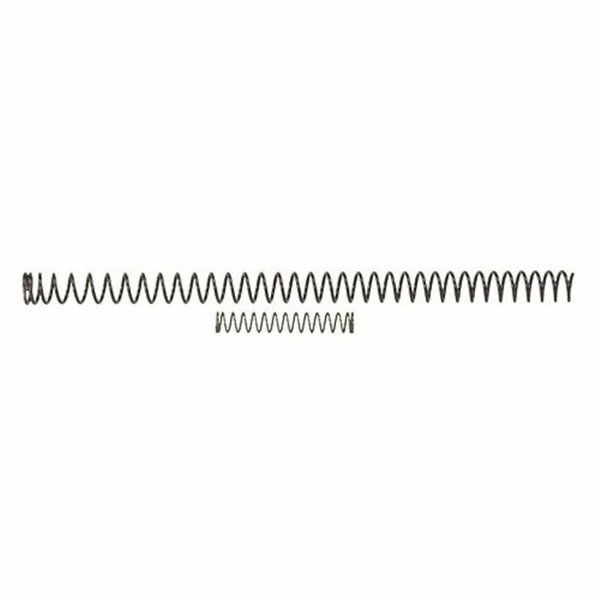 Wolff’s Recoil Calibration Spring Pack for the Smith & Wesson Model 41 gives you a selection of springs to adjust recoil when you don’t know the exact weight of the spring that’s currently in the gun. Each Wolff Recoil Calibration Spring Pack comes with 6, 6.5, and 7 lb. recoil springs plus three extra-power firing pin springs. These springs are meant for drop-in installation and require no additional trimming or fitting. Get your Smith & Wesson Model 41 cycling the way you want it, reliably, with Wolff’s handy Recoil Calibration Pack AND save money and time over buying each spring individually. Mfr Part: 13171 Wolff’s Recoil Calibration Spring Pack for the Smith & Wesson Model 41 gives you a selection of springs to adjust recoil when you don’t know the exact weight of the spring that’s currently in the gun. Each Wolff Recoil Calibration Spring Pack comes with 6, 6.5, and 7 lb. recoil springs plus three extra-power firing pin springs. These springs are meant for drop-in installation and require no additional trimming or fitting. Get your Smith & Wesson Model 41 cycling the way you want it, reliably, with Wolff’s handy Recoil Calibration Pack AND save money and time over buying each spring individually.